Infuse your holidays with traditions that range from ancient Druid greenery to contemporary Christmas cat sweaters. 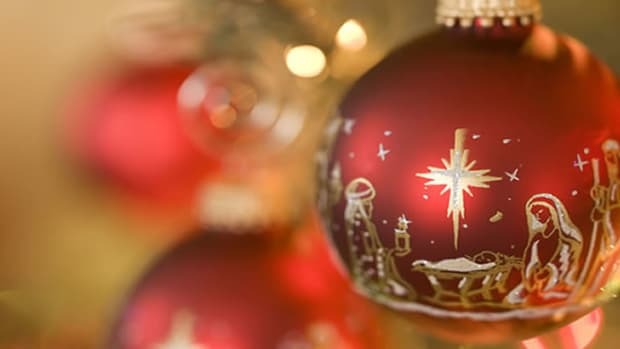 Each December, as we unpack our favorite holiday treasures, we recall their personal significance: Grandma’s Christmas china, mother’s hand-sewn tree skirt, a child’s finger-painted ornament. 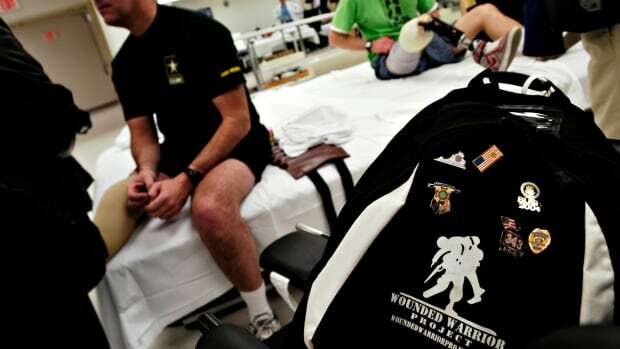 But most traditional items, in general, also have long, storied histories that may not be so well known or remembered. In honor of the 12 days of Christmas, here are a dozen modern takes on traditional and festive holiday decor ideas—some that date back to the Druids, others just finding their way into the pop-culture lexicon, but all filled with good cheer. BUY HERE: Flameless faux-candle string lights. About $35, Amazon. From the “don’t try this at home” files: In 17th-century Germany, someone had the, er, bright idea to decorate their Christmas trees with lit candles. The tradition is thought to have arrived in America in the 1830s (President Franklin Pierce lit his White House tree that way in 1856), and while we’re sure it was pretty, the obvious fire hazard was replaced with the invention of electric tree lights in the late 1890s. 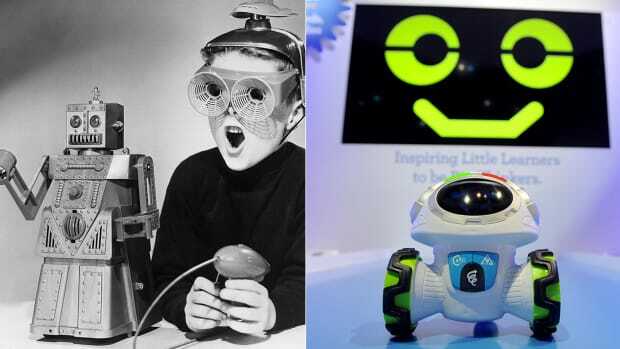 Love the idea? 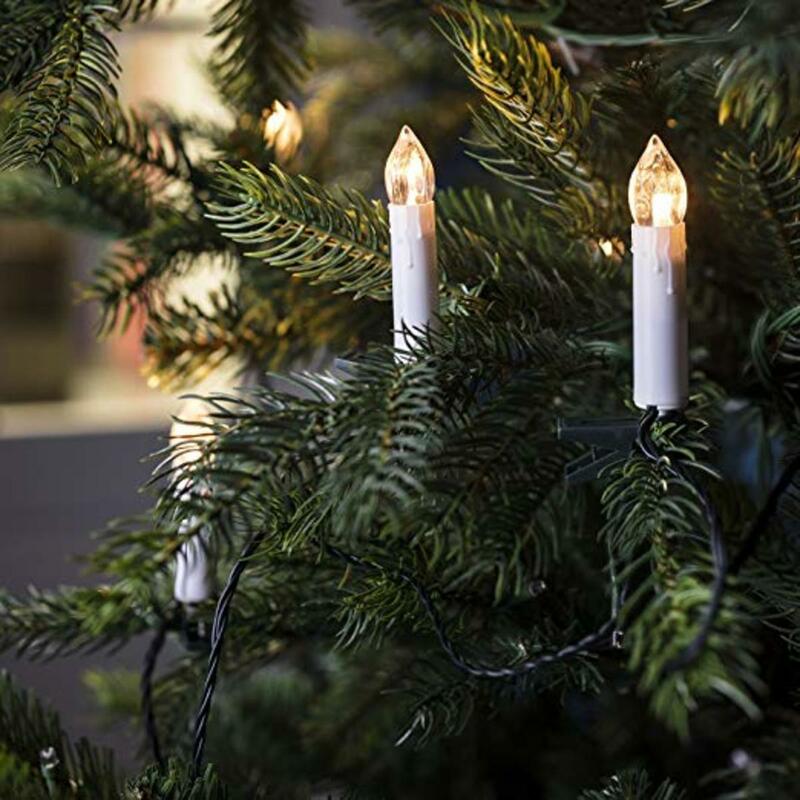 Best to stick with these flameless faux-candle string lights that only look like the real thing. BUY HERE: Mint-scented candle. About $37, Amazon. Legend has it that the red-and-white-striped candy dates back to 1670, when a German choirmaster gave the sugar sticks to his young singers to keep them quiet during a Nativity pageant, bending them into shepherds’ crooks. In 1847, August Imgard, a German-Swedish immigrant living in Wooster, Ohio, became the first known American purveyor of candy canes. Now? They’re the top-selling non-chocolate candy during the month of December. 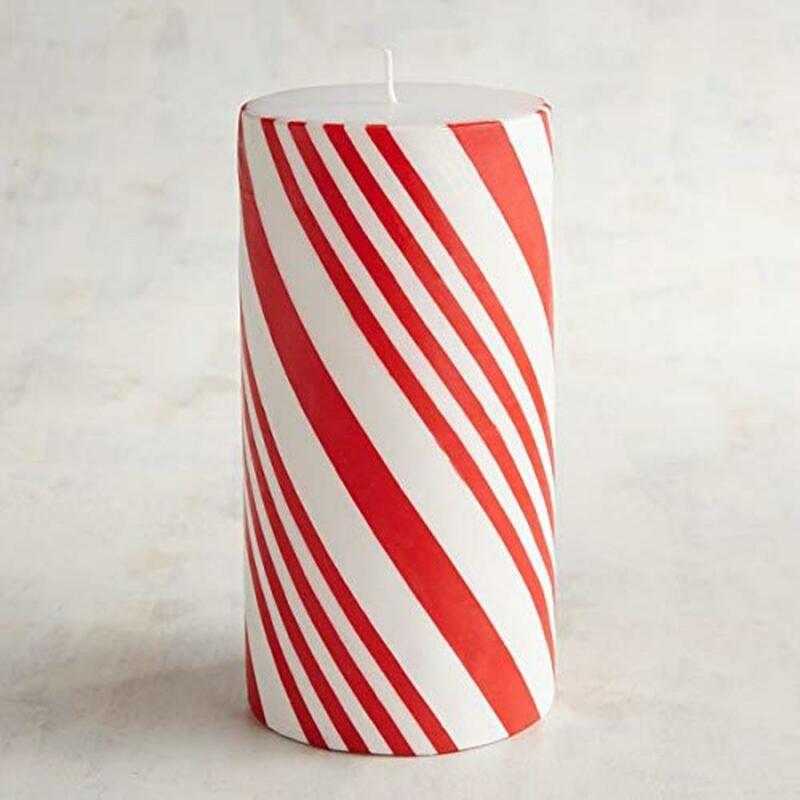 Get the candy-cane glow after the sugar rush ends with Pier 1’s 3 in. x 6 in. festive pepperminty candle. 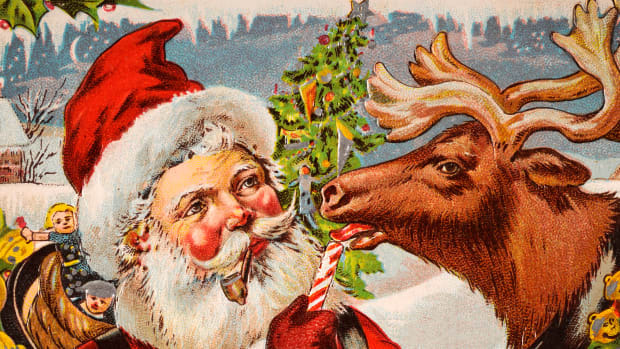 READ MORE: Who Invented Candy Canes? BUY HERE: Fennco Styles’ poinsettia pillow. About $19, Amazon. Native to Central America and favored by the Aztecs, these pretty red plants were brought to America by Joel Roberts Poinsett, the first U.S. ambassador to Mexico, in the 1820s. Their bright red flowers and winter blooming season have made them synonymous with Christmas. No green thumb? 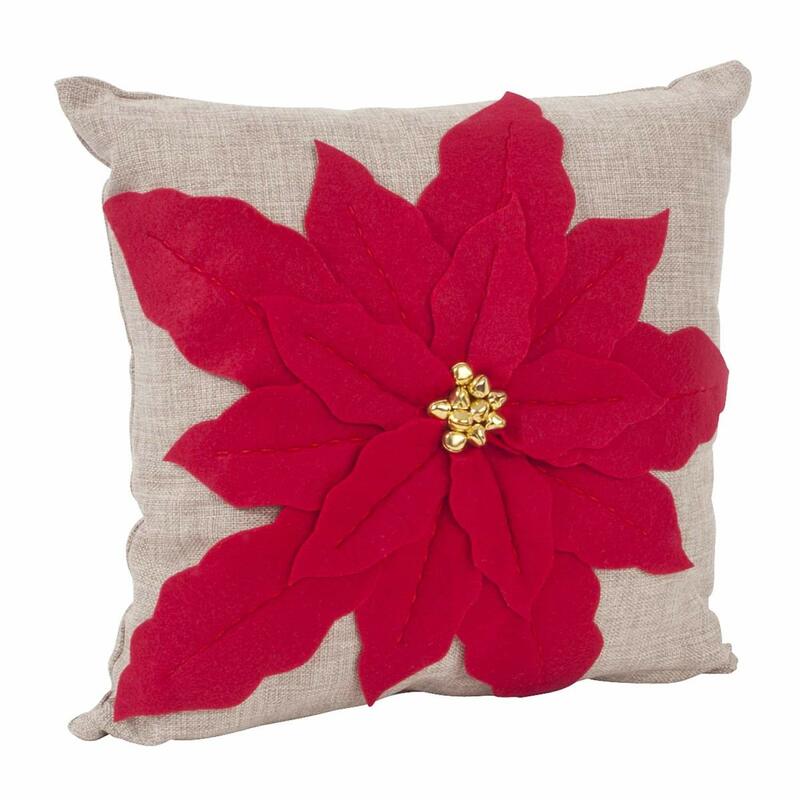 Add this poinsettia pillow to your holiday mix. 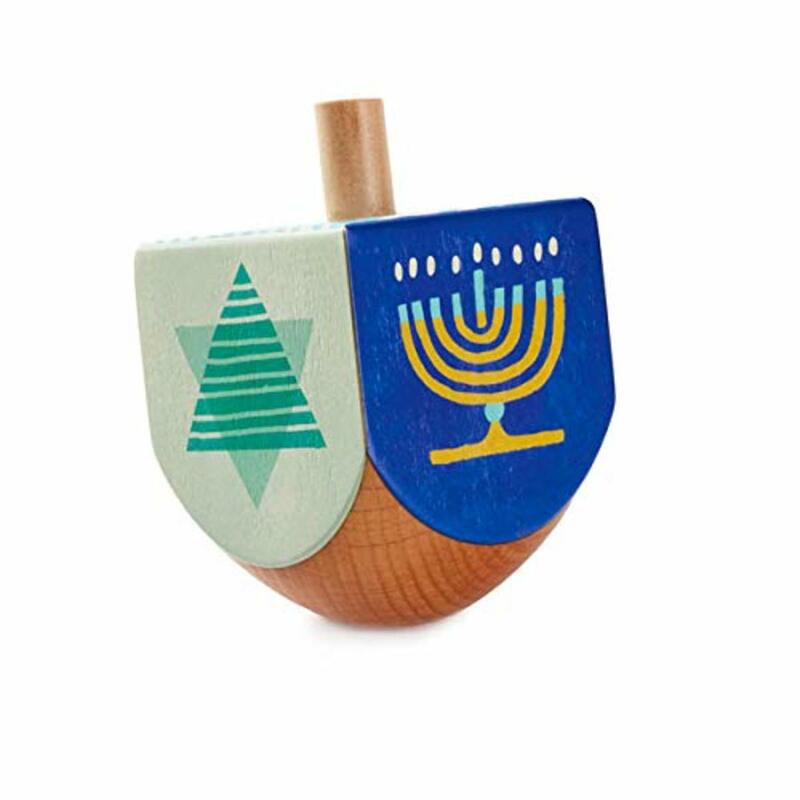 BUY HERE: Hallmark’s Wooden Dreidel. About $15, Amazon. Spinning tops in Yiddish are "dreidels" and the popular Hanukkah custom stemmed from the gambling game that dates back to 1500. The four Hebrew letters on each side of the dreidel—shin, hey, gimel and nun—form an acronym for "a great miracle happened here." Play a few games of your own with this colorful wooden version. 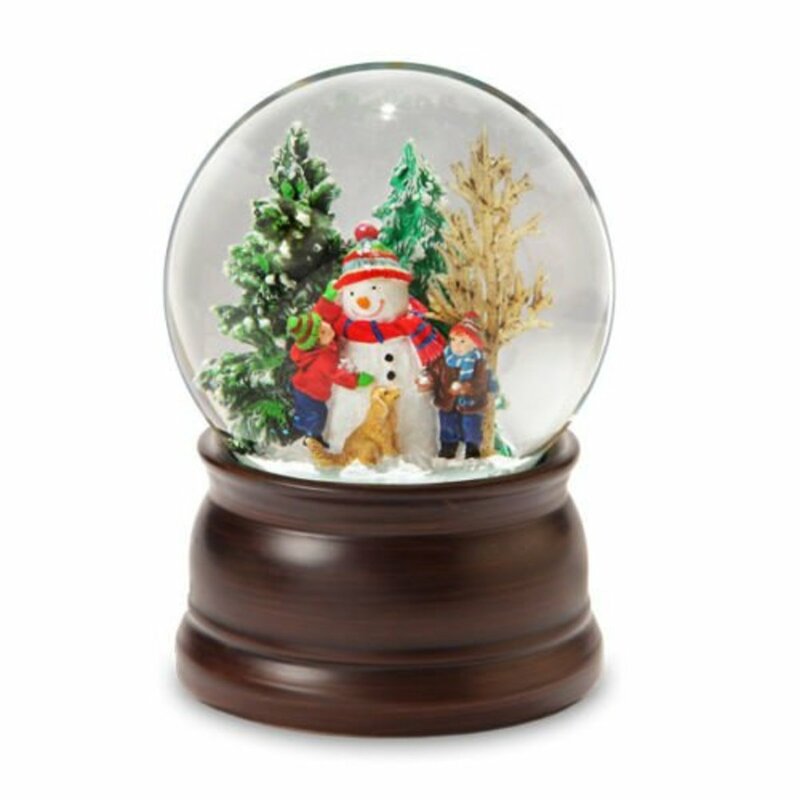 BUY HERE: The San Francisco Music Box Company’s snowman globe. About $40, Amazon. 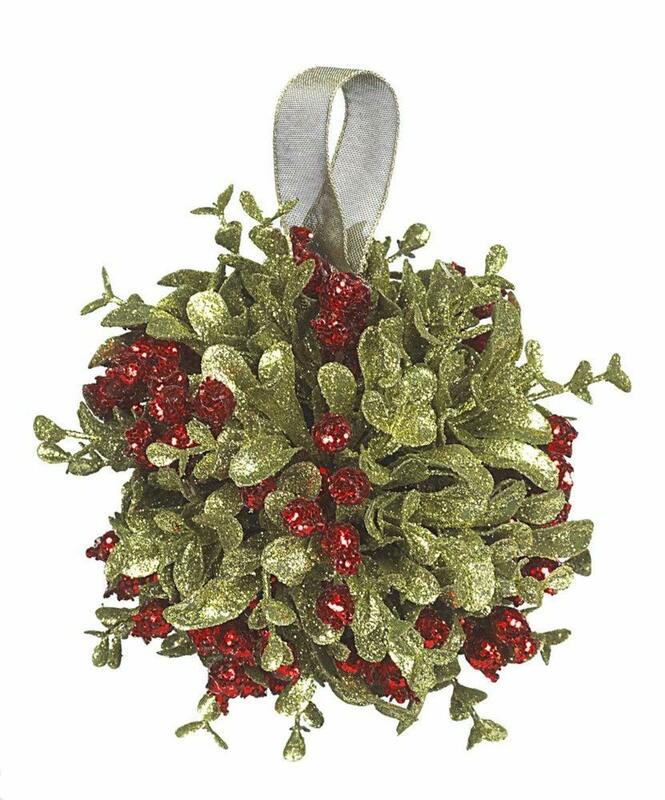 BUY HERE: Ganz’s mistletoe kissing-ball ornament. About $11, Amazon. In ancient times, this parasitic plant was used both for fertility and as an aphrodisiac, so it’s no surprise ancient Greeks made it a custom to kiss under it. (Pro tip: Don’t kiss or eat the plant itself—it has toxic properties.). Spark a little holiday romance of your own with this glittery mistletoe kissing-ball ornament. Mwah! READ MORE: Why Do We Kiss Under the Mistletoe? BUY HERE: Pop-up book of "&apos;Twas the Night Before Christmas." About $26, Amazon. 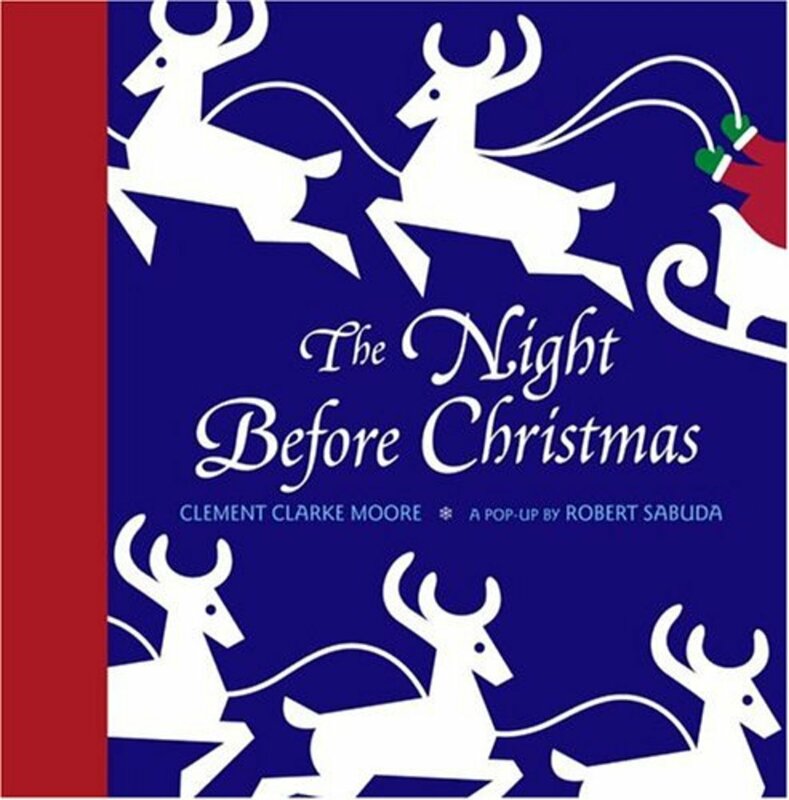 Most people know it now as “‘Twas the Night Before Christmas,” but Clement Clarke Moore’s beloved 1822 poem was originally titled “A Visit from St. Nicholas.” And according to the Library of Congress, it was written on Christmas Eve, inspired by the writer’s snowy sleigh ride home through the streets of New York. Now, 196 years later, children still delight in its reading—even more so with this festive pop-up rendition from illustrator Robert Sabuda. 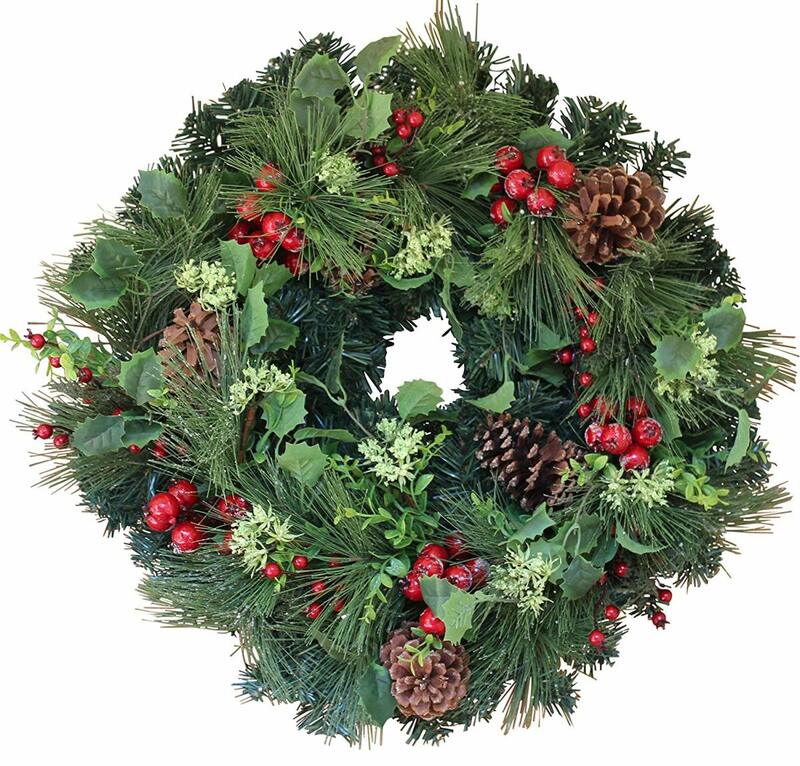 BUY HERE: Wreath Depot wreath with berries and pine cones,About $65, Amazon. The wreath dates back to ancient Rome and Greece, when rings made of twigs, fruit, flowers and leaves were worn on heads. (Think the Olympic laurels.) In Christianity, evergreen wreaths symbolize strength and everlasting life, with the presence of a wreath on a door serving as a sign of Christmas spirit. This artificial one comes with berries and pine cones and looks great year after year. 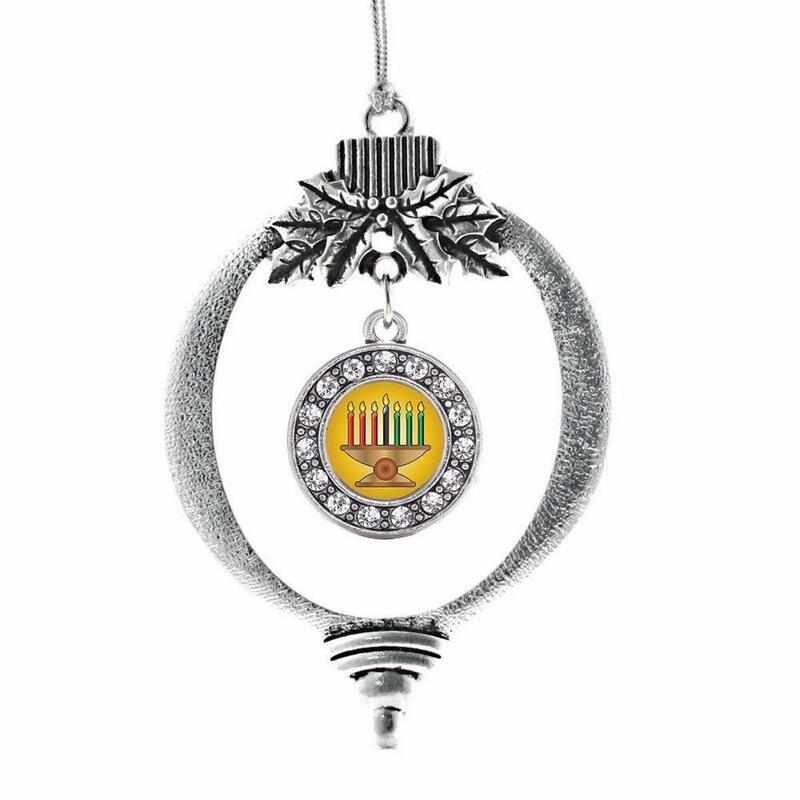 BUY HERE: Kwanzaa tree ornament. About $15, Amazon. It began in 1966, the brainchild of a California-based black-studies professor named Dr. Maulana Karenga, who was looking for a way to unify the African-American community after the devastating Watts riots. Kwanzaa, Swahili for “fruit harvest,” is celebrated over seven nights (Dec. 26-Jan. 1) with songs, dances, African drums, stories, poetry and a traditional meal. 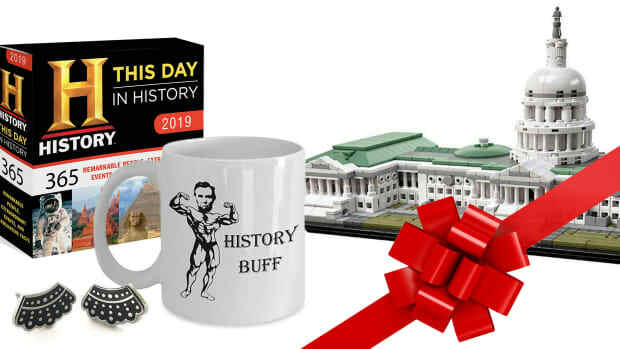 The perfect host gift? Inspired Silver’s white-metal tree ornament. BUY HERE: Calloway Mills holly doormat. About $25, Amazon. Holly has a long history: Considered sacred by the Druids, and used in winter solstice celebrations by the ancient Romans and Celts, the plant also was seen by Christians as symbolic of Christ. (The sharp leaves are thought to represent Jesus&apos;s crown of thorns, and the red berries, his blood.) 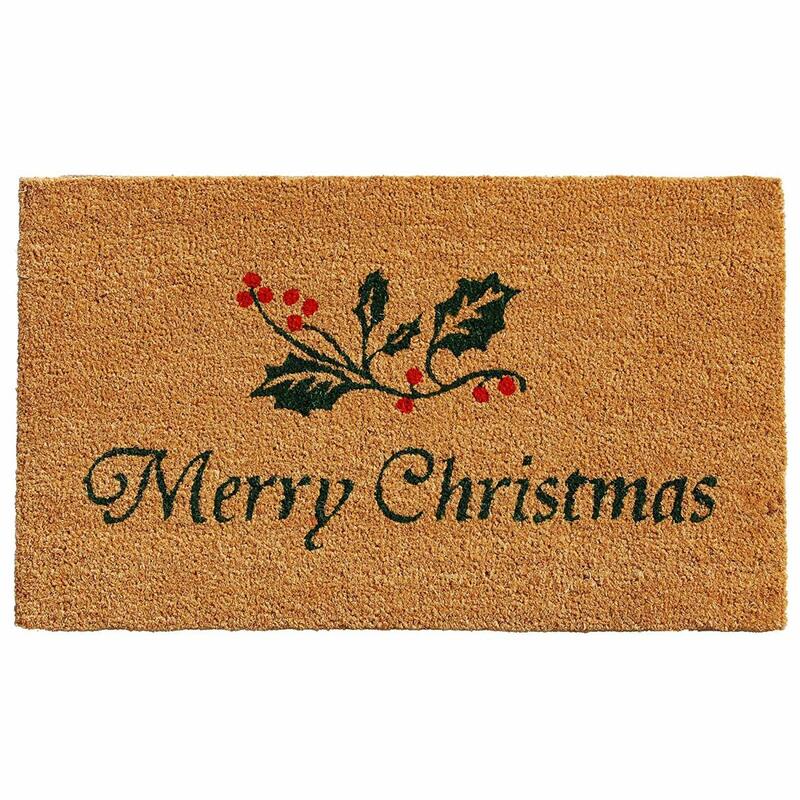 Welcome visitors—and the Christmas spirit—into your home with this holly-bedecked holiday doormat. 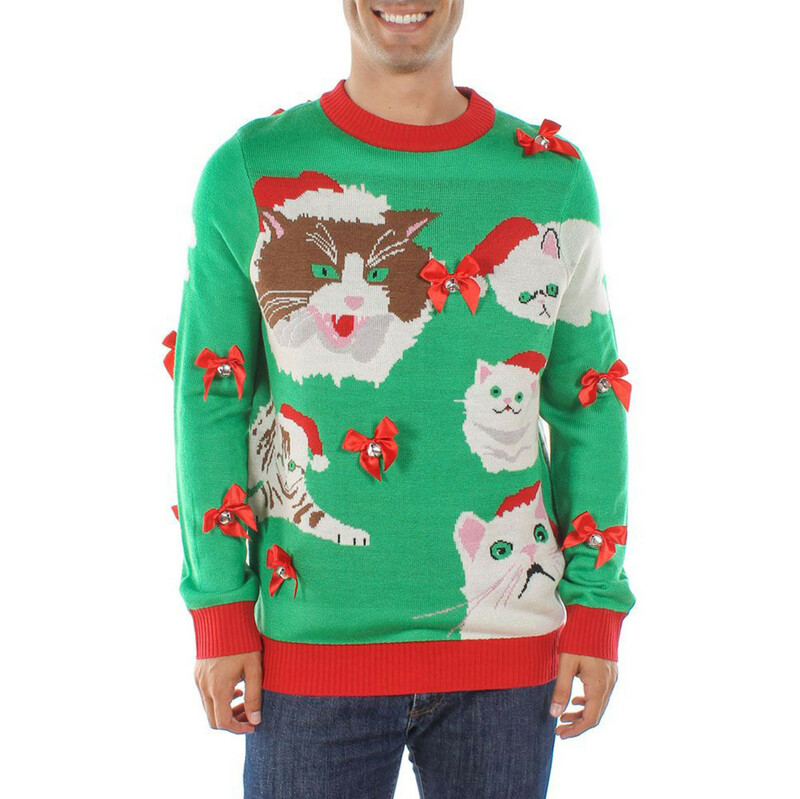 BUY HERE: Crazy Cat Man Sweater. About $50, Amazon. Forget cookie exchanges, eggnog tastings or tree-lighting soirees. Today&apos;s hippest holiday party theme centers around the ugly Christmas sweater—the cheesier, the better. Found in pop culture in the 1980s-&apos;90s (think National Lampoon&apos;s Christmas Vacation), the ironically worn designs became a trend—and winter party staple—in the early 2000s. And does it get much uglier than Tispy Elves’ cat sweater for guys? 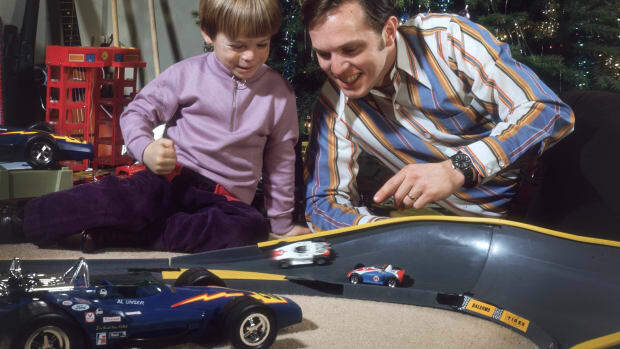 You’ll win Christmas. 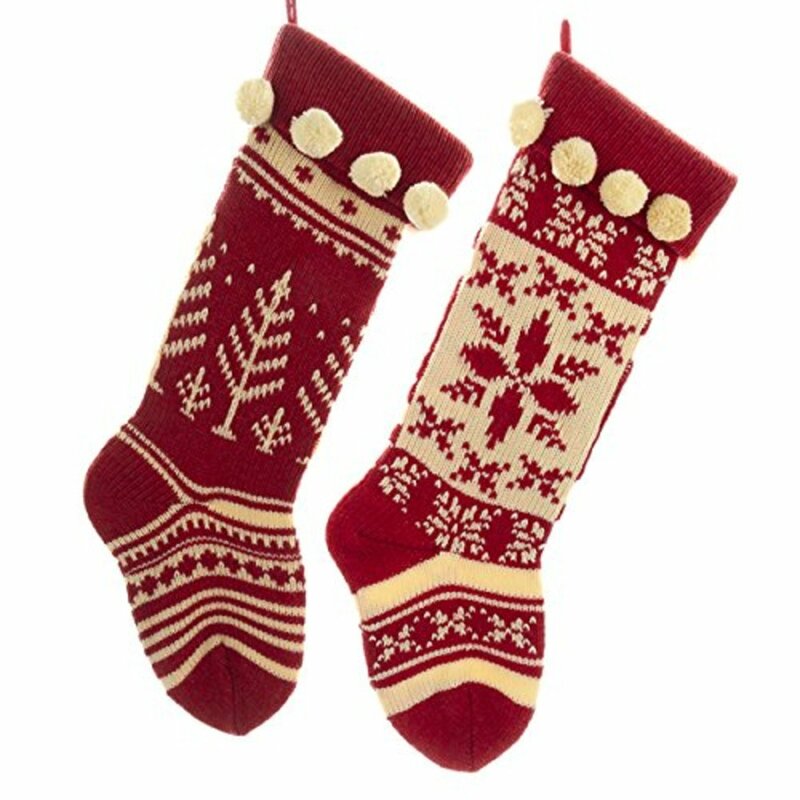 BUY HERE: Red-and-cream knit Christmas stockings, About $13 for two, Amazon. The tradition of Christmas stockings hung by the chimney “with care” made its first appearance in popular culture in Clement Moore’s 1822 poem “‘Twas the Night Before Christmas.” Since then, socks hung from the mantel have been filled with everything from gold coins to fruit to (for the truly naughty) a lump of coal. Kurt Adler’s festive knit stockings are cozy and cool enough to hand down to the next generation.